Enjoy a restorative yoga experience along with Sutra study of the 9 opportunities which in common explanations become lost in translation. Rather than view the antaraya as obstacles, they are rites of passage. The means for breakthrough, rather than break down experiences are known as the Parikarma—antidotes to inertia that foster health and healing. We are often confused by misuse of terminology. Stability implies our ability to reestablish center via adaptability and resilience. Explore strength through range of motion via a variety of asana. Patanjali offers 9 Sutra on how Asana and Pranayama transform our psycho-spiritual being. When we examine the earliest translators of Patanjali, the ancient masters expound on techniques that open new pathways of physiological and psychological transformation. Accessing the still point within balance and flux, explore the foundation of steadiness, ease and being true to our own center from the ground up. We will conclude our session with pranayama and chanting. We all excel in certain aspects of our being, but our growth is lopsided until we develop ourselves as a whole. Patanjali describes the many strata of Samadhi as integration to cultivate horizontal growth and ascend to our fullest potential. International yoga teacher, and author of The Yogi's Roadmap: the Patanjali Yoga Sutra as a Journey to Self Realization, Bhavani Maki began her exploration of Patanjali's Ashtanga Yoga System in 1987 and has been teaching the Ashtanga system since 1995. 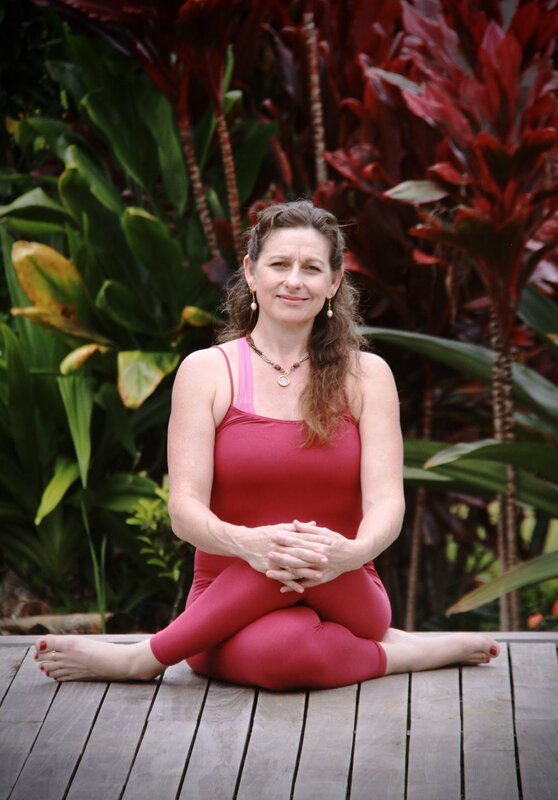 She is director and founder of Kauai's first Yoga studio, Yoga Hanalei, in 1999 and Ashtanga Yoga Kauai in 1995. Specializing in the Patanjali Yoga Sutra, yoga philosophy and psychology, and yoga as therapy, Bhavani offers unique insights into discovery great joy and freedom within one's self.